Although tolvaptan is an effective treatment for hepatic edema, there are no established criteria for assessment of the therapeutic effect. The present study evaluates the association between body weight change and clinical symptoms to identify an effective indicator of tolvaptan response. The study comprised 460 patients. 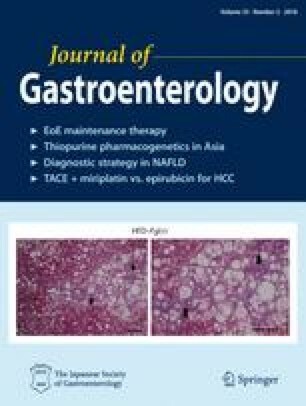 The first data set contained 147 patients with hepatic edema who received tolvaptan in Kagoshima Kouseiren Hospital, a representative institution of this study. From these data, an optimal cutoff value of body weight change, which accurately indicated symptom reduction, was identified. The response rates obtained based on the cutoff value were evaluated by receiver-operating characteristic (ROC) analysis and kappa coefficients. The kappa coefficient was then validated internally using the bootstrap method and externally using the validation data set of 313 patients from four other hospitals. A cutoff value for body weight loss of 1.5 kg/week produced the largest area under the ROC curve (0.961; sensitivity, 89.8%; specificity, 92.0%) and a high kappa coefficient (0.831). The correlation between symptom reduction and body weight loss of 1.5 kg/week was evaluated internally and externally, and the cutoff value was validated. The cutoff value of body weight change that most accurately reflected symptom reduction was 1.5 kg/week; this value is expected to be an effective indicator of response to tolvaptan in clinical practice. YH, HU, HN, AH, TI, MK, ST, HY, KO, and KK conceived of the study and participated in its design and coordination. YH, HU, HN, AH, MK, HK, and TI conducted the data analysis. YH interpreted the findings and drafted the original manuscript. HU, HY, ST, KO, and KK edited the manuscript. All authors read and approved the final manuscript. HN, ST, IS, NI, KO and KK have received honoraria from Otsuka Pharmaceutical Co., Ltd. The other authors declare that they have no conflict of interest.